Sikhumbuzo Dube is stewardship and church development director of the West Zimbabwe Conference, Bulawayo, Zimbabwe. He is currently completing the master of chaplaincy (MChap) degree from the Adventist University of Africa, Nairobi, Kenya. Spiritual care is a vulnerable calling. It is ministry to the wounded by the wounded. 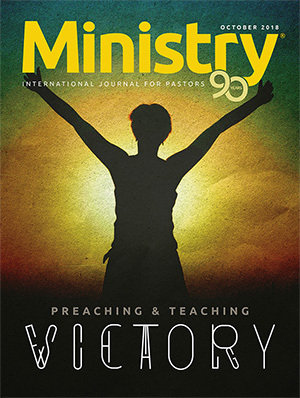 The deep-seated wounds of a minister can indeed be a wellspring of strength for those to whom he or she ministers. There is a Talmudic legend of the Messiah among the poor, which appropriately illustrates this notion. In the narrative, while others unbind all their wounds at the same time and then bind them up again, the Messiah unbinds one wound at a time and binds it up again, saying, “ ‘Perhaps I shall be needed; if so I must always be ready so as not to delay for a moment.’”1 In the call to care for others, while self-care must be a prerequisite, it cannot be a preoccupation. Being a wounded caregiver calls for a carefully considered spiritual care plan. 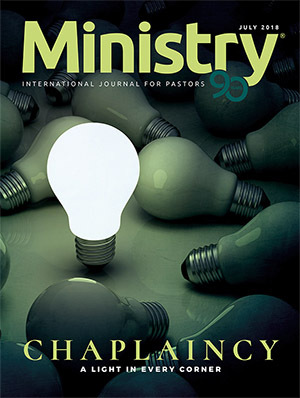 Jesus’ LOVE spiritual care model, illustrated in the healing of the demon-possessed young man (Mark 9:18–26), has “linking up” (connecting), observation, verifying, and empowerment as its key elements. Jesus began by connecting with His care-seekers before He could provide total healing. He not only connected with with His patients but took time to observe and verify before empowering them. Connecting with care-seekers. 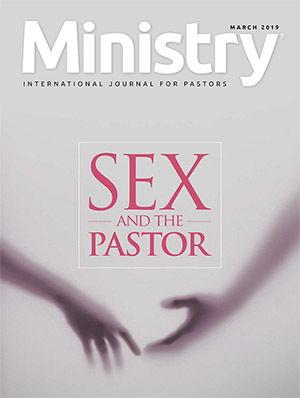 In providing pastoral care, the primary step is to connect with the care-seekers. In the account of the boy with an evil spirit, Jesus connected well with the parent by paying attention to the narrative. Being powerful, Jesus could have simply exorcised the demon without additional time taken. However, noticing that the father could, in clinical terms, be the identified patient, He took time to connect with the father. Failure to acknowledge one’s wounds may inhibit the connecting process. 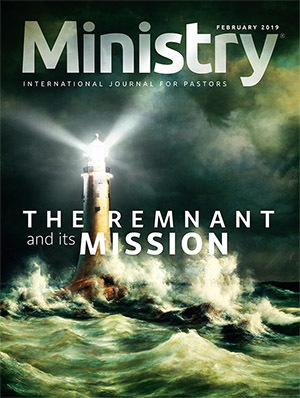 Henri J. M. Nouwen explains that one leadership deception “is to think that man can be led out of the desert by someone who has never been there.”4 Consequently, some pastors who are going through pain may fear admitting it, since they presume that doing so may expose their vulnerability. There are important questions to consider in the connecting stage. How is the care-seeker connecting with the caregiver? How is the caregiver connecting with the members of the care-seeker’s family? How is the care seeker connecting with members of his or her family? How is the care-seeker connecting with the divine? Observation. Jesus observed by enquiring: “ ‘How long has this been happening to him?’ ” (v. 21, NASB). He employed a systematic approach to meeting His care seeker’s need. 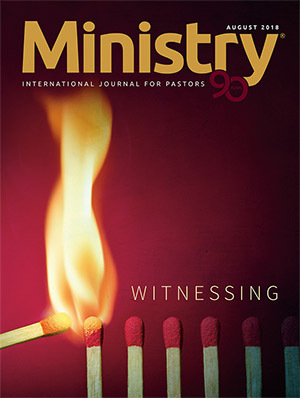 While Craig A. Evans, a New Testament scholar, observes that “the question about how long the boy had suffered from his condition underscores the seriousness of it,”5 R. T. France, another scholar, suggests that “the enquiry may also be part of Jesus’ ‘diagnosis’ of the problem to be confronted.”6 In this question, the trajectory of the illness was not only traced but also how it had impacted the faith of the parent. In response to this enquiry, the father of the boy said, “ ‘From childhood. It has often thrown him both into the fire and into the water’ ” (vv. 21, 22, NASB). Jesus did not interject but continued to listen as the father narrated until he revealed the primary concern. “ ‘But if You can do anything,’ ” he pleaded, “‘take pity on us and help us!’ ” (v. 22, NASB). In a medical setting, the caregiver needs to monitor the level of grief by enquiring: What does the care seeker understand about the medical facts given to him or her? How does the patient interpret the diagnosis? The principle is the same in any setting. One needs to observe by finding out whether the care seeker understands the implications of the presenting situation. This will be showing sympathy, as Christ did. Verifying. The caregiver needs to verify the feelings that the care seeker has toward his or her condition. He needs to find out what the care seekers’ nonverbal cues are communicating. What elements in the present situation connect with past grief? Does the care seeker’s faith enable him or her to face the presenting situation? Jesus verified the belief and feelings of the boy’s father by saying, “‘“If You can?” All things are possible to him who believes’ ” (v. 23, NASB). As an adept spiritual caregiver with empathetic listening, Christ was careful to use literal repetition and rephrasing. 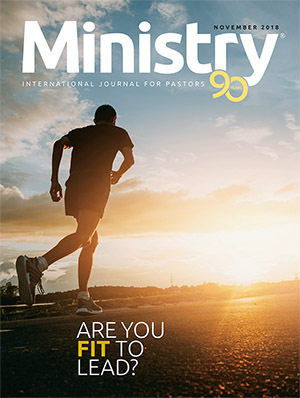 Robert A. Kidd, a board-certified chaplain and spiritual care and values integration director, says that literal repetition shows that the caregiver “honors the speaker’s choice of words and offers them back as a way of smoothing the way for continued dialogue.”7 By repeating the phrase “if you can,” Jesus was motivating the father to reveal more about his faith and feelings. Throughout His healing ministry, Jesus verified the faith of His care seekers (Matt. 9:2, 22, 29; 15:28; Mark 2:5; 5:34; 10:52; Luke 7:9, 50; 8:48). White explains that there was “no lack of power on the part of Christ; the healing of the son depend[ed] upon the father’s faith.”8 Jesus could have healed the boy without verifying the faith of the father. However, the consent of the father was necessary for him to receive relevant spiritual care. Even though Jesus knew what His care seekers needed, His well-thought-out spiritual care plan helped them to willingly point out their primary concern. The phrase “What do you want Me to do for you?” (Matt. 20:32, Mark 10:51, Luke 18:41, NASB), in the healing of the blind for instance, shows that Jesus did not want to assume what need is meant to be met. Empowerment. Caregiving as a systemic approach will empower not only the care seeker but others directly or indirectly linked to the sufferer. Jesus not only empowered the son by casting away the evil spirit but also strengthened the faith of the boy’s father. Evans observes that Jesus provided “enablement for both the father and his son: for the father, the needed faith, for the son, the needed deliverance from an evil spirit.”9 In the narrative, He empowered the faith of the nine disciples that had failed to cast out the evil spirit, the father of the boy, and the onlooking multitude who beheld the manifestation of divine power. In this stage important questions to consider would be, What support system does the care seeker have in his or her community? What spiritual ritual empowers the care seeker in the present challenge? What empowerment does the family provide the care seeker? What is the appropriate empowerment resource for the care seeker? Eli’s FEAR spiritual care model (1 Sam. 1:9–18) encompasses four elements, namely fear, echoing, acknowledging, and regret. It is seen in Hannah’s narrative. Echoing. Eli “thought [that Hannah]was drunk” (v. 13, NASB) and sternly rebuked her. He was simply echoing what his sons were doing. The reproach was probably reminiscent of their actions. Had he carefully observed, he would have realized that his care seeker was speaking out of her “‘great concern and provocation’” (v. 16, NASB). Sometimes clergymen’s roughness is generally a façade motivated by the fear of acknowledging their wounds. Acknowledging. By labeling Hanna has a drunkard, the caregiver implied that she was wicked and worthless. This prompted Hannah to say, “ ‘Do not consider your maidservant as a worthless woman’ ” (v. 16). The word here translated as “worthless” is bĕlı̂ yaʿal, the same word used to describe the sons of Eli in 1 Samuel 2:12. Eli did not try to verify the nonverbal cues that were indicating the heaviness of heart. In this instance Eli acknowledged that he made a wrong assumption. Regret. While Eli’s promise of having a child came as a relief, Eli must have regretted when he noticed that he had accused Hannah wrongly. Unpremeditated spiritual care leads to regret. The ministry of Jesus on the walk to Emmaus (Luke 24:13–31) also illustrates the LOVE care model. Jesus connected by joining the stressed disciples on their way to Emmaus. He made His observation by asking what issues they were discussing. He verified the intensity of pain they had by further asking what events were disturbing them. After listening to their narrative, He then empowered them by expounding from “Moses and all the prophets, He explained to them the things concerning Himself in all the Scriptures” (v. 27, NASB). His positive counseling approach empowered them to share the good news of His resurrection. From Eli’s ministry, we can see pitfalls that need to be avoided. First, his failure to be observant made him fail to notice the grief that motivated the care seeker’s actions. Pastoral caregivers need to be observant and to avoid being judgmental. This will make their parishes havens for burdened care seekers. Third, perfectionism must be shunned because it interferes with caregiving. Eli’s perfectionistic thinking led him to force holiness on his care seeker. The result is always a lack of empathy. 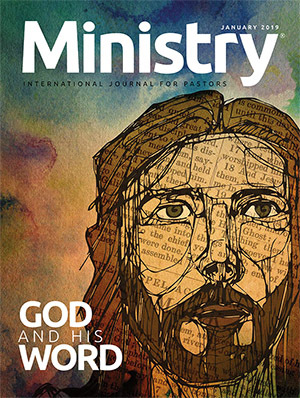 The ministries of Jesus and Eli present two portraits of spiritual care that are diverse in their approach. They present both the beauty and the drawback of one’s viewpoint toward personal wounds. They also present the need for taking time for self-care and acknowledging our pain. Lastly, while the ministry of Jesus serves as a perfect model for spiritual care, it is important to note that it was not a matter of accident, but it was a conscientious, methodical, and sensitive initiative. Both Jesus and Eli were wounded by their immediate environments. However, their attitude toward their “woundedness” impacted their spiritual care plans differently. Jesus was “wounded for our transgressions” (Isa. 53:5) while Eli was wounded by the wrongdoing of his wayward sons. 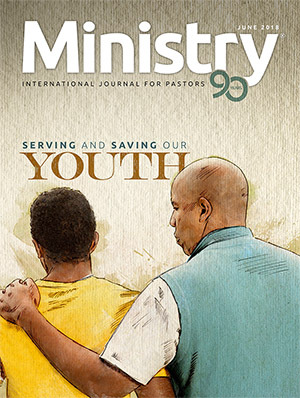 In following the model of Jesus, the spiritual caregiver will learn to “look after his own wounds but at the same time be prepared to heal the wounds of others.”15 Edward P. Wimberly, a professor of pastoral care, maintains that when ministers have their “wounds transformed from sources of personal weakness to reservoirs of strength for those in need,”16 they will acknowledge their vulnerability and take time for self-care. He connected with His care seekers. He verified their needs, faith, and feelings toward the presenting situation. He empowered them in the areas where there was a need. What are your “wounds”? 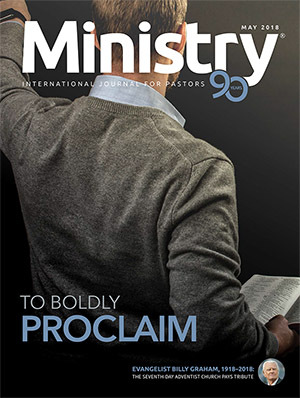 How might you engage the wounds of those to whom you minister? How can you provide a safe environment in which to grow? 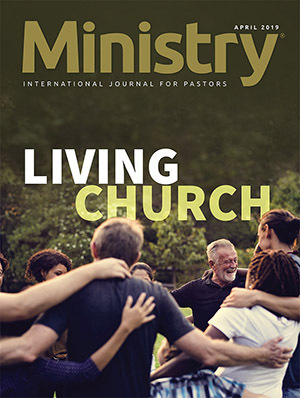 How can a minister maintain healthy boundaries when sharing his or her own wounds while healing and being vulnerable to the believer or patient in hospital? What does being vulnerable with your spiritual care look like for you in a postmodern, twenty-first-century world? What roles do reflective listening and the ministry of presence alone play in providing spiritual care and nurture to a soul? How can our churches become a practical, safe space for wounded healers to share their story without making anyone feel a sense of fear or a lack of empathy from others? 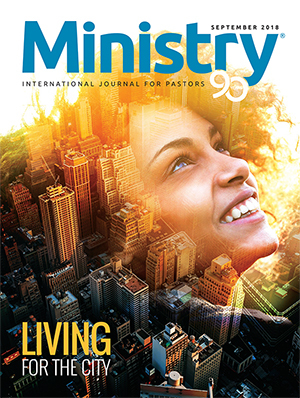 How does the breakdown of the family affect the spiritual care the minister can provide? What self-care practices can you, as a spiritual caregiver, engage in to prevent burnout or being overly stressed? —By Chaplain Anthony Chandler, resident chaplain, Department of Veterans Affairs, Columbia, Maryland, United States. 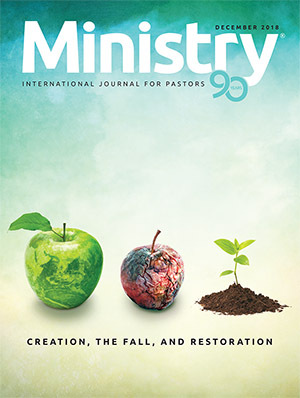 2 Ellen G. White, The Ministry of Healing (Mountain View, CA: Pacific Press Pub. Assn., 1905), 143. 3 Samuel Park, “Pastoral Identity as Social Construction: An Exploration of Pastoral Identity in Postmodern, Intercultural, and Multifaith Contexts” (PhD dissertation, Texas Christian University, 2010). 4 Henri J. M. Nouwen, The Wounded Healer: Ministry in Contemporary Society (New York: Doubleday, 1972), 72. 5 Craig A. Evans, Mark 8:27–16:20, Word Biblical Commentary 34B (Dallas: TX: Word, 2002), 52. 6 R. T. France, The Gospel of Mark, The New International Greek Testament Commentary (Grand Rapids, MI: Paternoster Press, 2002), 366. 7 Robert A. Kidd, “Foundational Listening Skills,” in Professional Spiritual and Pastoral Care: A Practical Clergy and Chaplain’s Handbook (Woodstock, VT: Skylight Paths, 2014), 94. 8 Ellen G. White, The Desire of Ages (Oakland, CA: Pacific Press Pub. Assn., 1898), 428. 9 Evans, Mark 8:27–16:20, 52, emphasis added. 10 Ellen G. White, Conflict and Courage (Washington, DC: Review and Herald Pub. Assn, 1970), 140. 11 Ellen G. White, Patriarchs and Prophets (Battle Creek, MI: Review and Herald Pub. Assn., 1890), 570. 12 Ralph W. Klein, 1 Samuel, Word Biblical Commentary 10 (Dallas, TX: Word, 2002), 8. 13 Pamela Cooper-White, Shared Wisdom: Use of the Self in Pastoral Care and Counseling (Minneapolis,MN: Fortress Press, 2004), 5. 14 Larry VandeCreek, A Research Primer for Pastoral Car and Counseling (Decatur, GA: Journal of Pastoral Care Publications, 1988), 2, quoted in Amy Elise Green, “Critical Components in the Formation of Clinical Pastoral Education Supervisors” (DMin dissertation, Ecumenical Theological Seminary, 2011). 15 Henri J. M. Nouwen, “The Wounded Healer,” in Images of Pastoral Care: Classic Readings, ed. RobertC. Dykstra (St. Louis, MO: Chalice Press, 2005), 77. 16 Edward P. Wimberly, Recalling Our Own Stories: Spiritual Renewal for Religious Caregivers (SanFrancisco, CA: Jossey-Bass, 1997), 8. 17 Wimberly, Recalling Our Own Stories, 11.